At the P & N Law Firm in Chino, California, we provide personalized family law guidance and representation. Serving people throughout San Bernardino, Riverside and Los Angeles counties, our team offers counsel on matters, including divorce, alimony, and child custody and support. It is our goal to help our clients navigate some of the most trying experiences of their lives, so they and their families can begin the process of moving forward. A client-focused law firm, we work with people to develop strategic plans aimed at helping them efficiently and effectively resolve their legal problems. Our experienced team knows that emotions often run high when dealing with sensitive family law issues. Acting as a steady hand to guide them through the legal process, we offer the objective advice they deserve, while still providing the compassionate assistance they need. During a free initial consultation, we review people's unique situations and legal goals, and take the time to get to know them and to understand their family dynamics. Recognizing that some circumstances call for a firm stance, while others require more cooperative negotiations, we offer customized advice and tailor our approach based on each client's specific needs. 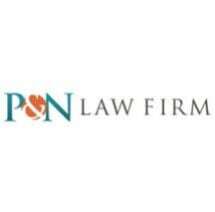 Passionate about aiding people and families through life-changing legal challenges, our team at the P & N Law Firm also provides immigration law services. Whether they are seeking employment or family-based visas, petitioning for U.S. citizenship or naturalization, or needing assistance with deportation or removal defense, we walk clients through the associated processes, striving to help them find and hold on to their piece of the American dream. For the convenience of those we represent, our law firm accepts credit cards.